Numbers Ferrari F50 test Road and Track? top speed is 326 kph (203 mph). I think BM clocks faster performance because unlike other magazines,they use pro drivers.Infact thats the only magazine which I completely trust for lap times.I think that's why F50 is slower than F40 in most tests.Regarding tsukuba time both F1 and F50 are slower because of damp weather,F40 did 1;06.45 in similar conditions. Yea, I question ALL of BestMotoring acceleration times, They are SOOOO much faster then Anybody else, Off by huge margins, And i dont see any superior launches or shifts then anybody else, Hell these are the same people that tested the GTR and it was faster in the Mile then an LP640..
Not that, I ment the fact that you said tere were no HyperCars in the 90s. Now i know that term is subjective, And stupid if you ask me, But given "What" peopel call "HyperCars" today, They certainly well did exist in the 90s, Way beyond the level of the F50. 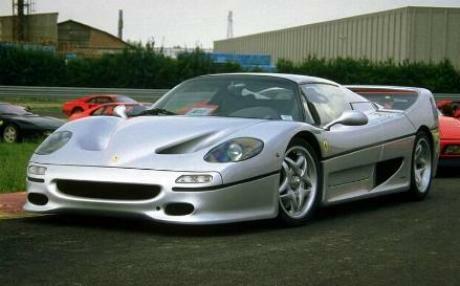 @BR2 i say the F50 and F1 etc are hypercars but i dunno if others consider it. don't care any but the F50 is a legend for sure. My mistake yes back in 90's no hypercars, i was considering it in modern terms, and YES the king remains to be the mighty McLaren F1 probably the finest car ever made. Even in terms of Ferrari the F40 out performs on straight lines. its not a ground breaker, but a better feel, especially above 4000 RPM. I agree somewhat, That the front end could be better, I always did think it was a little "Weird" for the time, But i certainly wouldnt call it ugly, I think it looks bloody fantastic, Specially from the rear, IMO the F1 doesnt hold a candle to this in the looks or sound department. If anything the F1 is WAY to plain for what it is, And spending THAT much on it doesnt really justify it for me. Now if were talking about 90s cars in the looks department, The R390, And 962LeMans are 2 of my all time favorite looking SuperCars from that era, And would take them vastly almost over any car from any period. 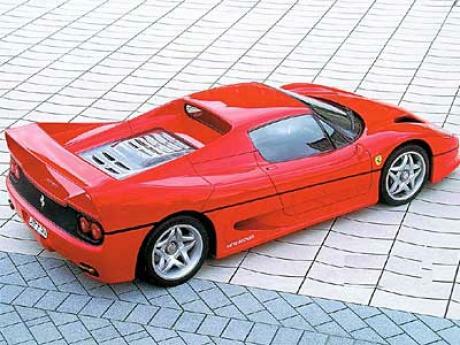 But i certainly understand why someone could call the F50 not the best looker, But i certainly wouldnt. Its the "le'ts get rid of popup headlights" era for supercars. Jaguar XJ220 has similar headlights and indicators. 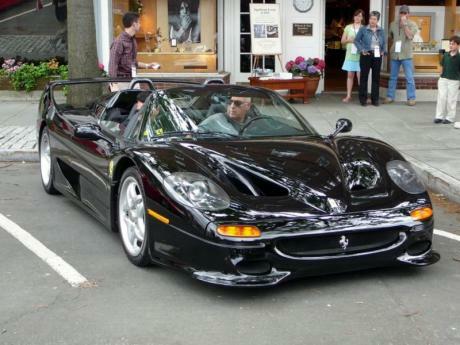 No wayyy, the F50 is a great looking car! And it's my favorite Ferrari, ever. Yep. Sorry, but I think it has the ugliest front end ever put onto a Supercar. The F40 looked like it was trying to appear happy, but was actually depressed and not hiding it very well. But the F50...It reminds me of a dumb face someone would make for a selfie. I mean, look at the McLaren F1, then look at this thing. Not to mention it was ugly as sin and EVERYONE knew it. I mean, look at that bottom picture; when even a black paint job can't make your car look remotely cool, there's a problem. This is not a car you would've found on a poster on some kid's wall back in the 90's. "Hypercars" never existed back then. And in the presence of the Mclaren F1, it could never be called "hyper"
Underrated hypercar, Never forget that V12 is a upgraded module from the Ferrari 641 driven by Alain Prost, last of its kind, this is probably the rarest F series hypercars produced from ferrari besides the Mighty 288 GTO. A Organic Hypercar. @Guest I believe it was the first CAR added. 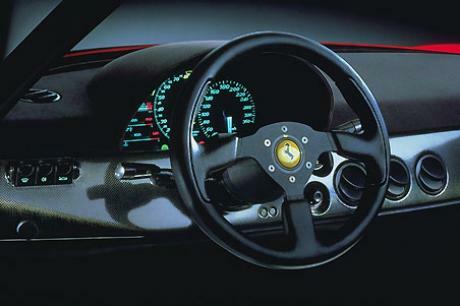 Was this the first Ferrari ever added to this site? And also the car does not weigh 1,270, that's a claimed dry weight. Please change the F50 (not F50 GT)'s curb weight to 1,350 kg. 1,230 was dry. 10.7 was their estimation for a dragstrip. 11.1 was not on a dragstrip but on regular tarmac, BUT with aftermarket exhaust I believe. 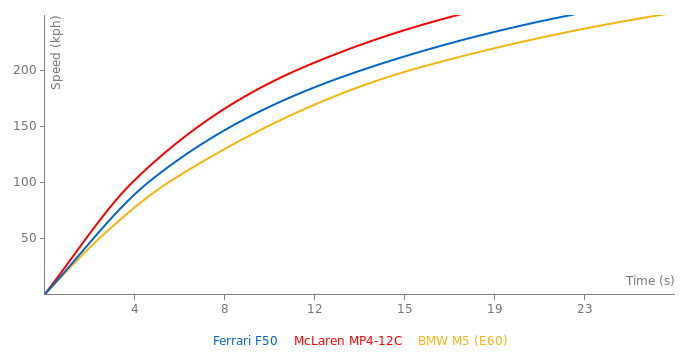 So the same F50 that did 11.1 on regular surface could sneak into very high 10s. 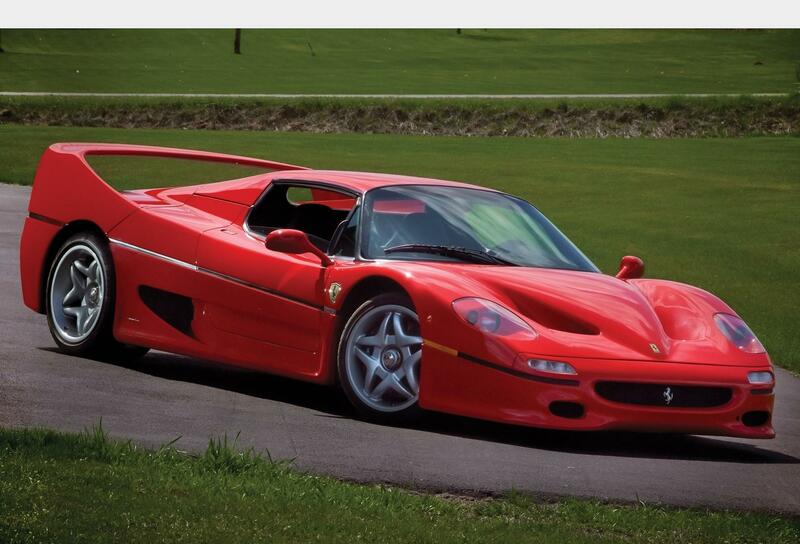 @unknown: I assume F50 can make anywhere from 3,6-3,9 seconds from 0-100 km/h, however 10,7 s @ 1/4 mile is impossible. Surely F50 can go better than reported 12,1 s @1/4 - maybe as low as 11,5 s; but someone who owns it should test it a little bit and upoload some videos on YT so we could all enjoy. Btw, F50 performance can be increased by installing quality aftermarket full exhaust system (manifold to end); and that wouldn't ruin it's "originality" too much nor cause damage to engine. Just with those you can gain up to 20 HP and 10 Nm of torque. Installing turbos, doing ecu remap, modifying body is not a very bright idea and it would ruin the car. Calling yourself a troll on this site is like driving around in Georgia with the words "Hillary for President" or "ATF firearms confiscation unit" on the side of your car, or walking into a bank or convenience store or behind a parked armored truck wearing a ski mask, or into a school wearing a trench coat.